Vegan dining is having a moment. Plant-based eating is a restaurant trend that is quickly gaining momentum. More restaurants than ever are adding creative and delicious meat-free options to their menus. 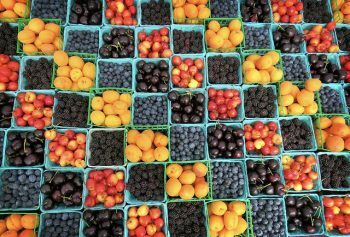 A vegan diet is healthy and good for the planet. The meat and dairy industries are the leading causes of greenhouse gases and water pollution so when you eat a vegan meal, you know you’re making a difference. In the cultural melting pot that is New York City, those craving delicious vegan food have a number of palatable global choices across the boroughs and Long Island that are easily accessible by public transportation. 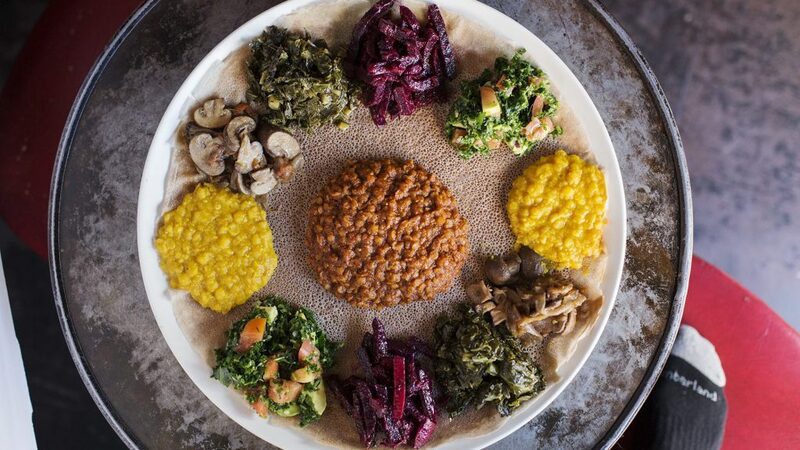 At this first-of-its-kind vegan Ethiopian restaurant, Bunna Cafe, feast on creamy, savory vegetable purees and pulses served on spongy injera flatbread. 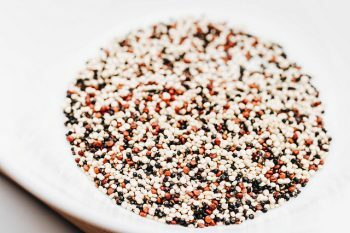 Expect to find colorful choices like gomen (steamed kale with carrots, ginger, and garlic), misir wot (red lentils cooked with a spicy berbere sauce), and Yatakilt Alicha (cabbage and potatoes with turmeric). 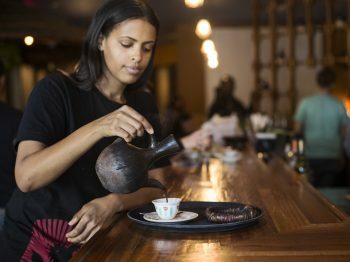 The cafe also offers a traditional Ethiopian coffee ceremony. Bunna Cafe is located at 1084 Flushing Ave., at Porter Ave. in Bushwick. As Harlem’s first full-service vegan restaurant, Seasoned Vegan has garnered quite a following. The chefs at this popular joint have mastered the art of making soul food vegan, with “crawfish” made from yams, lemon crusted “chicken” nuggets, and raw lasagna made with cashew “cheese.” Enjoy gourmet, organic meals that are good for the soul at this spacious, naturally lit space, and be sure to leave room for dessert. They are famous for their delectable red velvet cupcakes. Seasoned Vegan is located at 55 St Nicholas Ave.
As the name indicates, a butcher’s offspring decided to not only swear off meat, but also cater to others who’ve done the same. 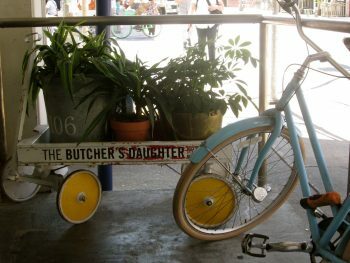 At the two locations of the Butcher’s Daughter Juice Bar & Cafe (nicknamed “vegetable slaughterhouse”), you will find a slew of vegan options made with seasonal produce. Avocado toast with curry and cilantro is a fan favorite for breakfast, the Reuben sandwich is ideal for a quick lunch, and a delicious veggie pasta or a cauliflower pizza makes for a perfect dinner. The menu changes daily and all their items are organic and gluten-free. Thirsty? Choose a healthy, fresh-pressed juice from the Juice by Color menu. The restaurants are located at 19 Kenmare Street and 581 Hudson Street. To get to Hudson Street, take the 1/2/3 to 14th Street or the A or C to 14th Street. Did you know that Chinese Buddhists invented mock meats? Located in the heart of Chinatown, Buddha Bodai has been serving authentic, vegetarian and vegan Chinese dishes since 2004. 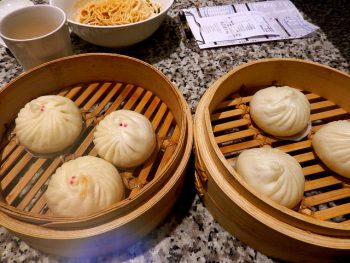 This casual restaurant popularized dishes such as Sesame and General Tso’s “Chicken,” and veg “meat” buns. When ordering here, rest assured that all “meat” dishes contain faux meat; they taste so real, you won’t know the difference. The portions are generous, so bring your appetite. Buddha Bodai is located at 5 Mott St.
It’s hard to imagine good Latin dishes made without cheese, but VSpot in Park Slope serves up excellent tostadas, empanadas, and other Colombian dishes that are completely vegan. The Brooklyn location offers al fresco dining on the outdoor patio, as well as in the elegant interior space with walls showcasing local art. Aside from scrumptious meals, the restaurant serves up amazing desserts, especially mouth-watering macaroons that come in mocha, chocolate chip, mint, and cocoa. People seem to love the food so much that they’ve opened another branch in the East Village at 12 St. Marks Place. The Brooklyn branch is located at 156 5th Ave in Park Slope. Get There: R to Union St. or 2/3 to Bergen St.
Voted as the Best Vegetarian Restaurant in Best of Long Island in 2018, Tula Kitchen offers healthy and balanced meat-free dishes. Located in Bayshore, just minutes from the LIRR station and ferries to Fire Island, Tula Kitchen has a warm atmosphere with red walls, wrought-iron candelabras, and French farmhouse accents. Enjoy dishes such as Seared Organic Seitan Asparagus (with roasted red peppers, Thai peanut sauce, and coconut basmati rice), Topsy Turvy Tofu (with sun dried tomato, kale, caramelized onions), and the Chickpea Vegan Omelette. The best part? Breakfast is served all day. 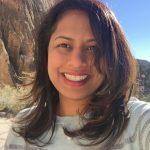 Lavanya Sunkara is a writer, animal lover, and responsible traveler based in New York City. Her love of nature and adventure has taken her all over the globe. She cherishes sharing her experiences and being a voice for the voiceless. Follow her adventures on her blog Nature Traveler or on instagram @Nature__traveler.